What makes a truly great T-shirt? You know, the kind of shirt that makes you want to do laundry far before the dirty-clothes basket reaches critical load, just so you can wear it the next day? Softness: we’re talking real comfort, rooted in a blend of super soft fabric that just gets better with more washes. Rad art: we’re a crew of carpenters and architects—craft and design mean a lot to us. The designs on our shirts can’t just be OK. So what if our daily outfits consist, without fail, of a T-shirt and passably presentable pants? We’d like to think the art on our shirts makes up for it. Made with soul: this is the clincher, the thing that ratchets a good T-shirt up to greatness. A truly great shirt will generate some good for some folks besides just you (the wearer) and the people you bought it from. Enter Sanctuary Screen Printing: the Seattle-based nonprofit we partner with to print all of our T-shirts. 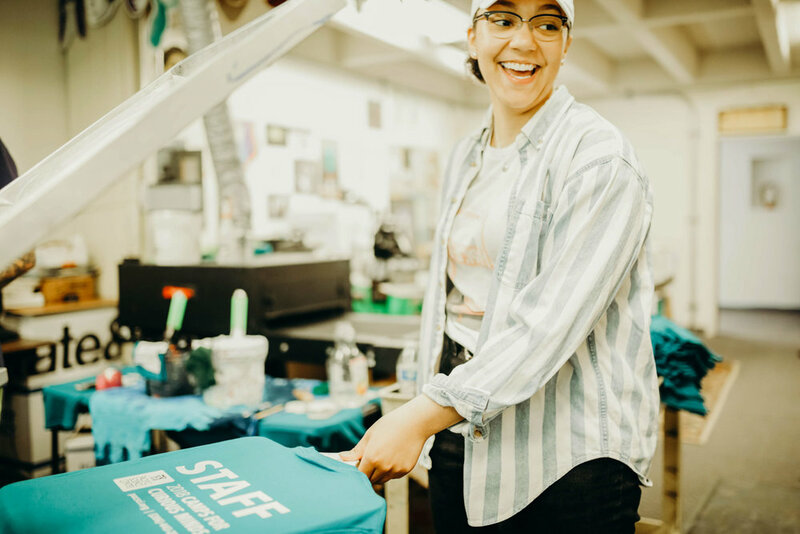 Sanctuary Screen Printing offers internships for underserved youth to learn the tricks of the screen-printing trade, providing hands-on skill-development and job training. Throughout the programs, youth earn a wage and build self-efficacy by seeing projects through from start to finish. Sanctuary Screen Printing intern Jalynn. Photo courtesy of Troy Carter/Sanctuary Screen Printing. Sanctuary Screen Printing intern Alex. Photo courtesy of Troy Carter/Sanctuary Screen Printing. Troy joined Sanctuary in 2006, bringing a background in visual and performance art and YMCA homeless youth programming. He was well-acquainted with the resource exigencies of the nonprofit sector and wanted to develop a sustainable source of revenue for a vocational training program. It clicked: why not combine art and job-training, printing T-shirts for organizations like the YMCA? Sanctuary Screen Printing Executive Director, Troy Carter (right) with Sanctuary intern Gregory (left). Photo courtesy of Troy Carter. 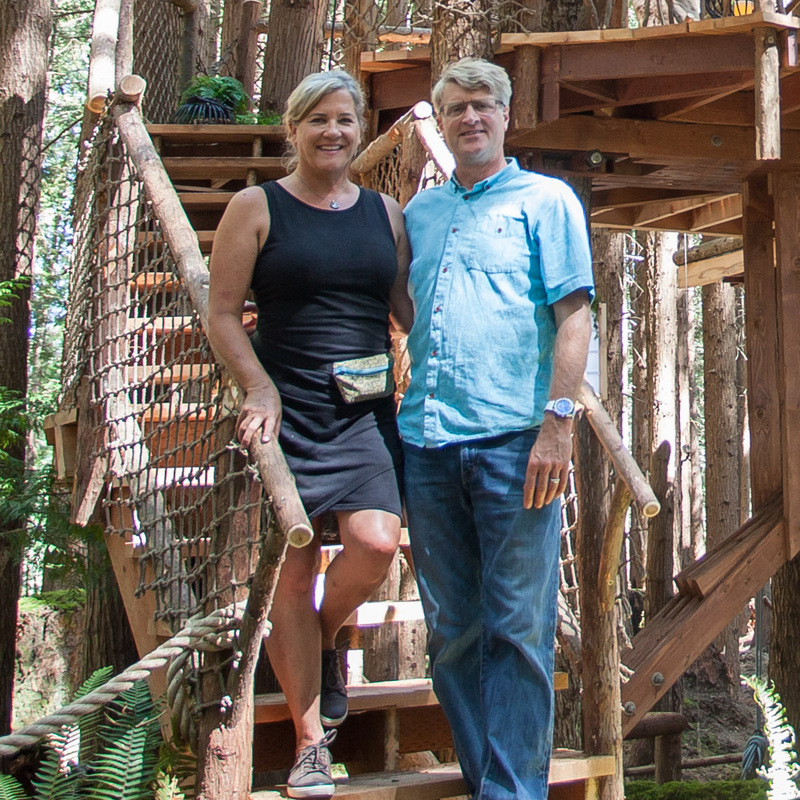 Flash-forward twelve years, and Sanctuary’s powerhouse crew is now printing thousands of T-shirts each year for the YMCA of Greater Seattle, Pacific Science Center, Seattle Children’s Theater, Pearl Jam, Sasquatch Music Fest, and of course, Nelson Treehouse. Wyatt, Henry, and Adam enjoy the quality experience of wearing our Beehive T-shirt. Sam rocks our Burgundy Be in a Tree T-shirt, printed by Sanctuary. Henry relishes our Be in a Tree T-shirt in slate. What keeps Troy inspired after days like those? Simply continuing to do the work and spend time with the youth. Now that makes a truly great T-shirt. And check out all our Sanctuary-printed shirts on our online store. Patrick wears our Matcha Nashville Treehouse Shirt, printed by Sanctuary. Jake and Henry move beams around the prefab shop in style. Specifically, in our Be in a Tree T-shirts, printed by Sanctuary.